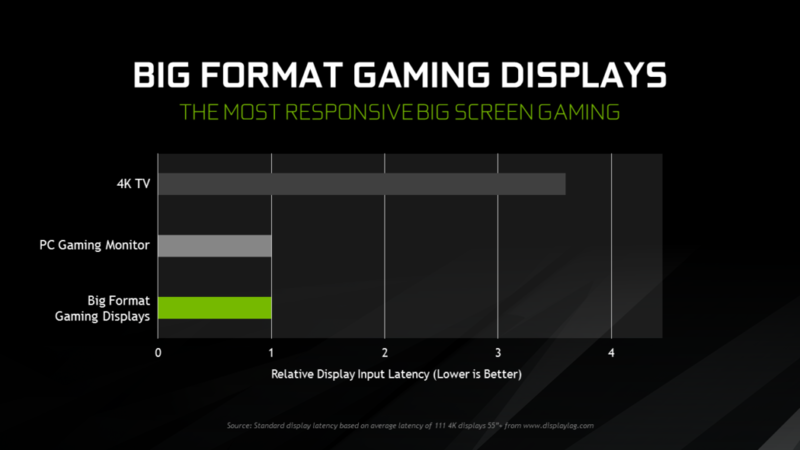 It looks like NVIDIA’s BFGD solutions aren’t expected to hit retail anytime soon as mentioned in a report by Hardware.info. 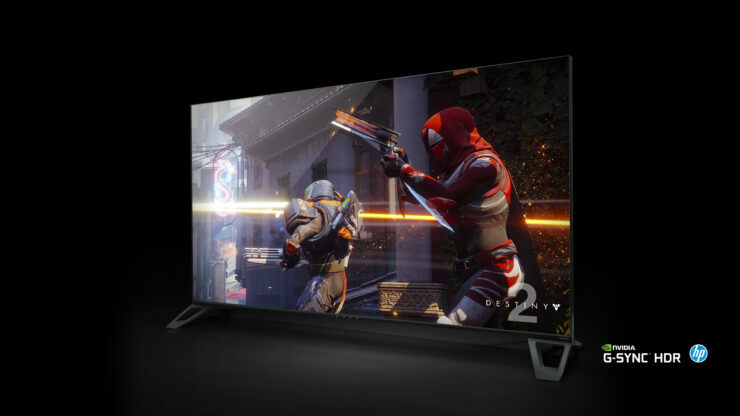 The tech site claims that not only would the Big Format Gaming Display monitors launch much later than anticipated, they would also come with a seriously high price tag which would put a heavy dent through in your wallet. NVIDIA BFGD or Big Format Gaming Display solutions are designed for living room and enthusiast gaming PCs. They rock some really impressive specifications which we would get into details in a bit but the thing to talk about right now is the release date and prices. 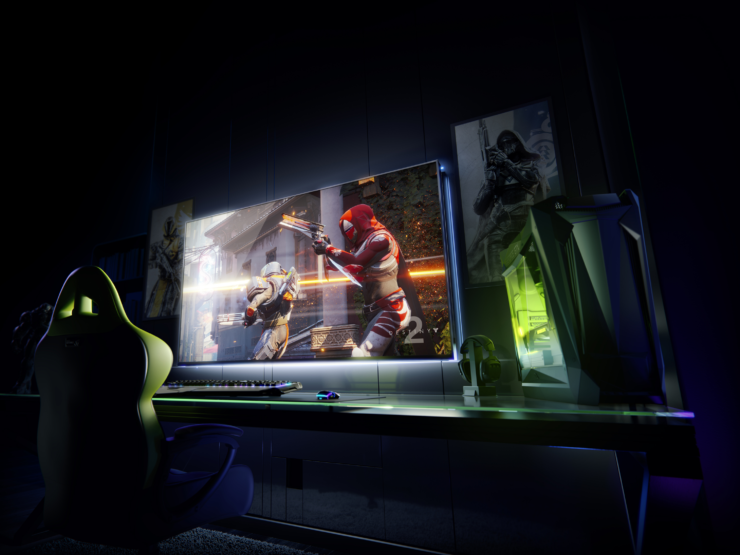 NVIDIA BFGD solutions are said to launch in Q1 2019. Previously, we were expecting the solutions to pop up in retail outlets by mid Summer ’17. That doesn’t seem to be the case anymore as these solutions are now aimed at a Q1 launch of next year. Additionally, Hardware.info caught word of the suggested pricing on these monitors while they were at Gamescom and simply put, they are going to cost an arm and a leg. 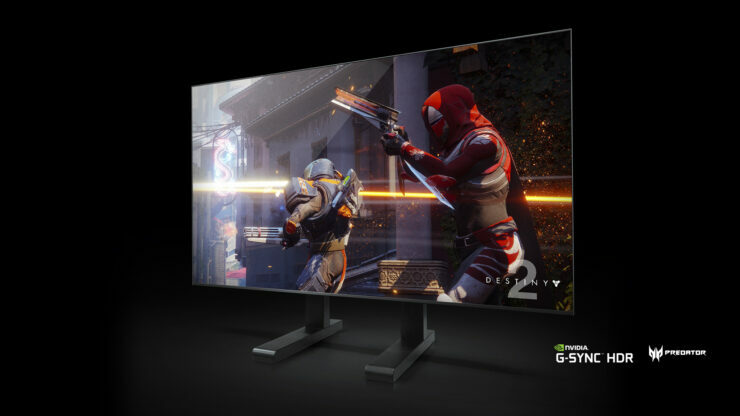 The pricing is suggested at around 4000-5000 Euros which is insane but so are these monitors and there’s nothing like them from any other manufacturer. Maybe we will get to see more competition from other brands in 2019 after the first BFGD solutions hit the market, but currently, the specifications of these within a huge size remains unmatched, at least on paper. Then we said, “What else can we do to expand the reach of gaming and take the experience to a new level?” We always thought it would be great if we could take PC gaming, which is already amazing, and put it on the one display that we always wished it would be on: the largest display in your house. What would you call the largest display in your house? It’s the BFG display. 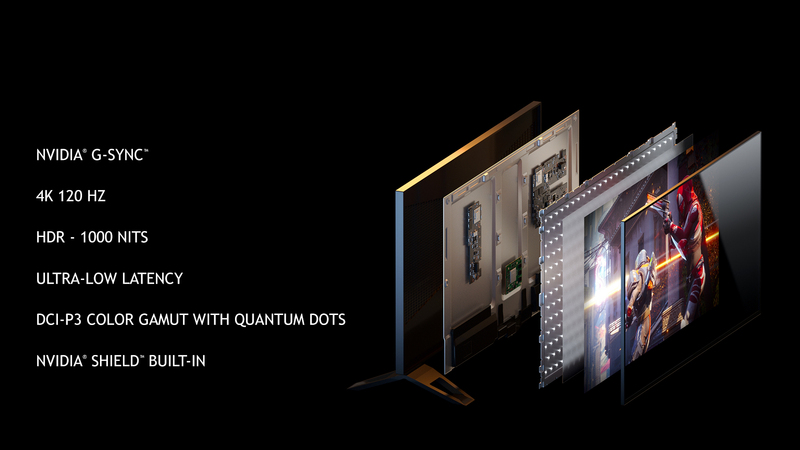 So we called it BFGD, Big Format Gaming Display. [laughs] That’s what it stands for. It never gets old. As you can tell, there’s a lot of technology which these monitors are jam-packed with, but we would still be conscious to check out early reviews before spending tons of money on these beastly displays, but regardless, who wouldn’t want one such solution inside their living room. Let us know what you think about the new BFGD monitors and will you be purchasing one in the future or not. Are you going to purchase a NVIDIA BFGD solution? No, too expensive for me. Will wait to see if it's worth the price.